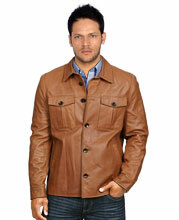 This mens leather shirt is made from lambskin leather. It has a nice finish and has a plain look at the surface. This makes it look masculine and contemporary. The shirt has full sleeve and crumple effect at arms. The black front buttons look magnificent. The shirt collar style renders a prim and proper look to the outfit. There are linings on the surface and at the rear of the leather shirt. You can see patch pockets with button flaps in the front. 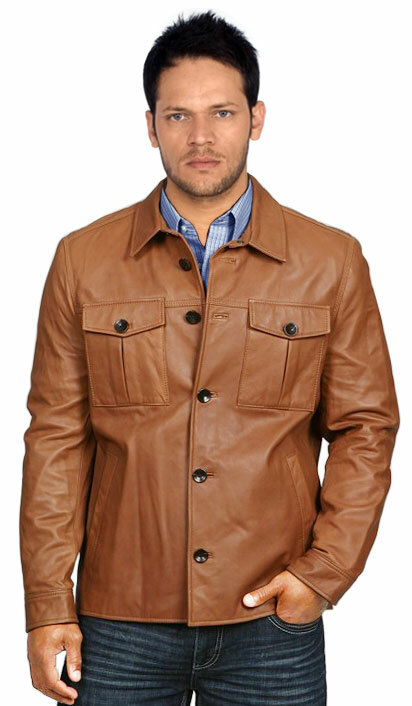 This leather shirt is perfect for a simple and trendy look.